For the first time since 1950, Brazil will wear a white football kit. 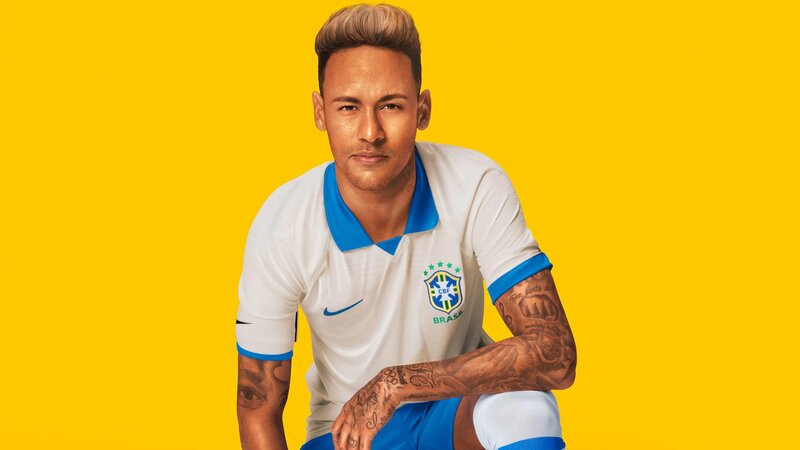 Today, Nike presents the Brazil 2019 Copa America away shirt in the colour of the traditional Brazil kits: white. Check it out and read more here. Brazil's yellow and green shirt is one of the most iconic football shirts there is in football. However, Brazil has not always been wearing yellow and green kits. The famous yellow and green Brazil home kit design only came about through a national competition held after it was decided that their then standard white kit with blue trim had to be forgotten. To understand the reason why, let's go back in time. The date is July 16 1950 at Estádio do Maracanã, Rio de Janeiro, Brazil at the 1950 FIFA World Cup. 199,854 fans attend the match with the majority cheering on their Brazilian heroes in the white kits. Brazil only needed a draw to go claim the title. However, Uruguay won the game 2-1, and ever since that day, the Brazil national football team has not worn white. Until the 2019 Copa America. 69 years after the tragedy, Nike presents the first white Brazil kit ever since. This time, the white kit will not be Brazil's home kit, but the away shirt instead. 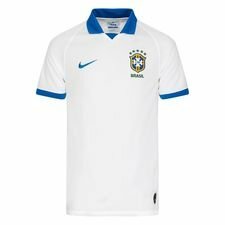 The special white Brazil away shirt from Nike aims to celebrate the 100th anniversary of the 1919 Copa America title, when the team back then also played in white. The Brazil 2019 Copa America away kit will combine the main color white with blue applications, just as the one the national team wore until the 1950 World Cup defeat. The Brazil 2019 Copa America Away Kit is more than a football shirt. It's an exicting story about joy, tragedy and passion. And we can't wait to watch Neymar Jr. and Co. in the white kits this summer, aiming to win the South American championship just like Brazil did 100 years ago. In white and blue. Get the white Brazil 2019 Copa America Away Kit right here from 15th of April 9 AM CET.